No big fancy post today, just the nail of the day that I’m sporting. 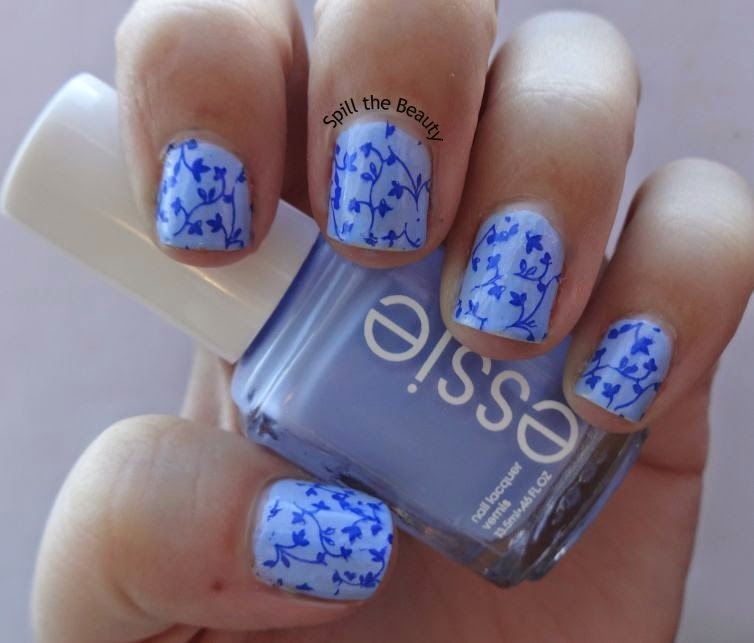 Isn’t the Essie lovely? It’s a great go-to cornflower blue to have in your collection. I got it from Spark Sessions 2014, and I’m glad that I picked it out from the big selection of Essie nail polishes. It has a slight shimmer in it, if you see it closely, in person. Revlon’s “Royal is actually a blue jelly, but it works brilliantly for stamping. I actually tried other blues from different brands to stamp with, but I always come back to “Royal”. I finally picked up a bottle of BST about a month ago! I'm still trying to get thru some winter polishes so I haven't used it yet, but soon. And thanks for the tip to use Royal – would never consider stamping with that!